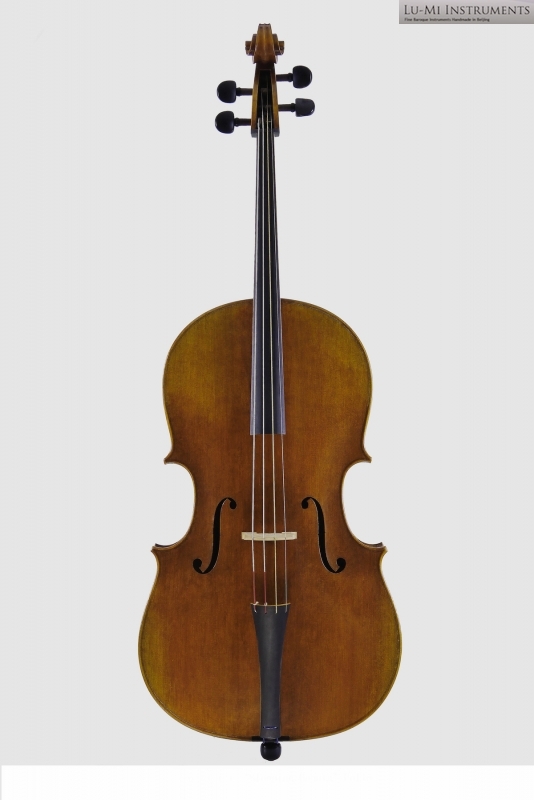 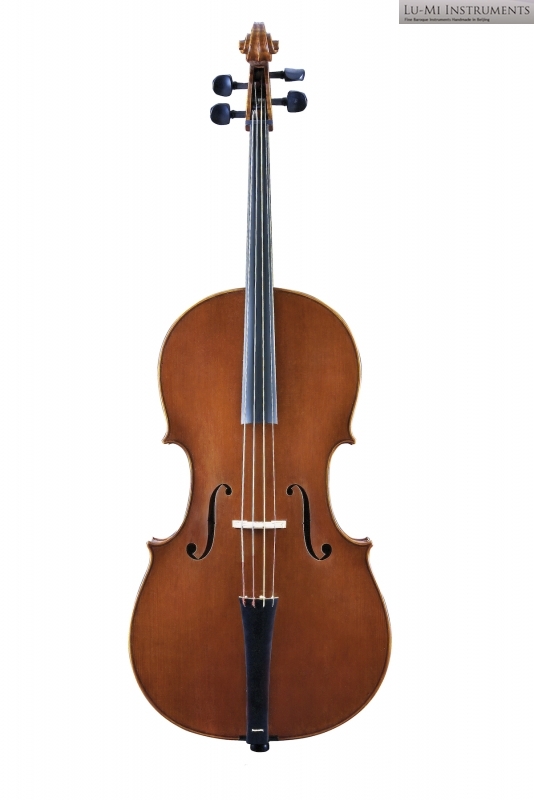 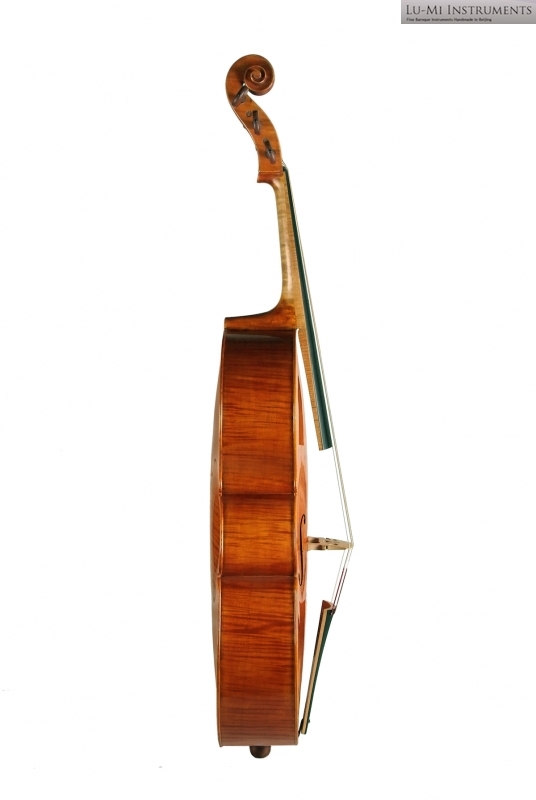 Strad's B model is perhaps the most successful of all cello models and has been copied more than any other cello model. 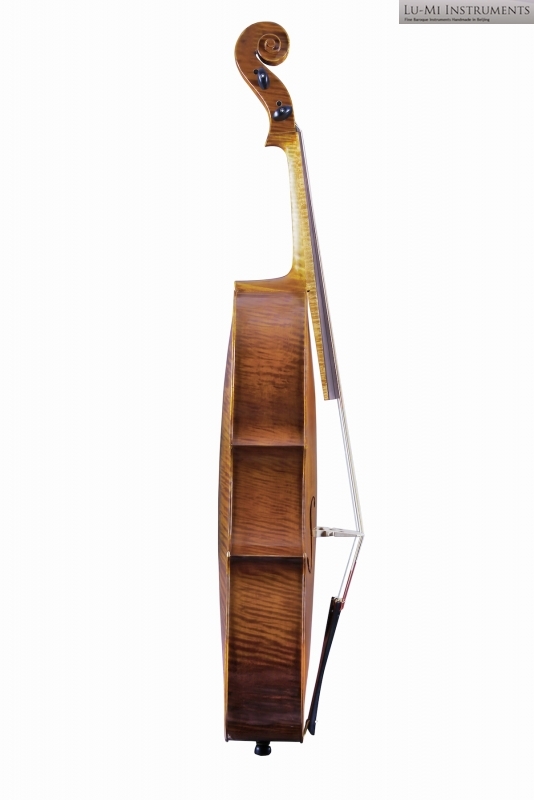 after Domenico Montagnana "Sleeping Beauty"
Venetian makers made wider cellos. 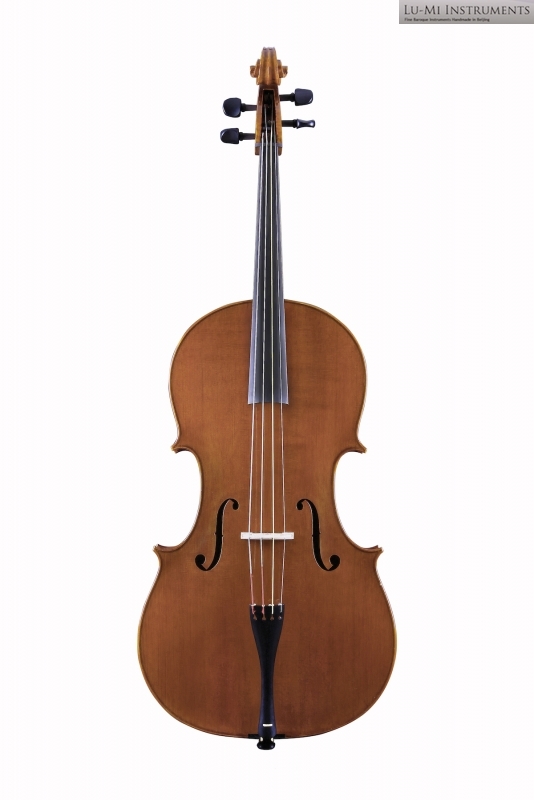 They usually give fuller bass sound than Strad's B model. However a wide model can be a bit difficult to hold for shorter players. 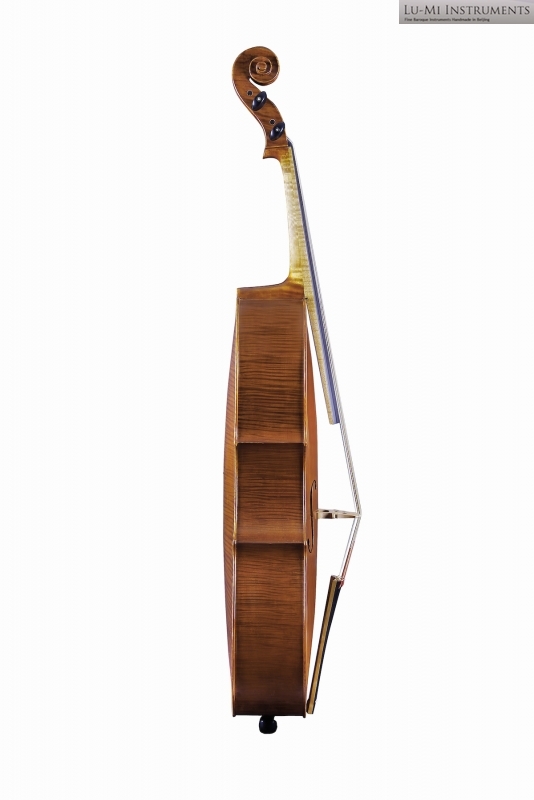 This model was originally made to be a 5 string instrument. 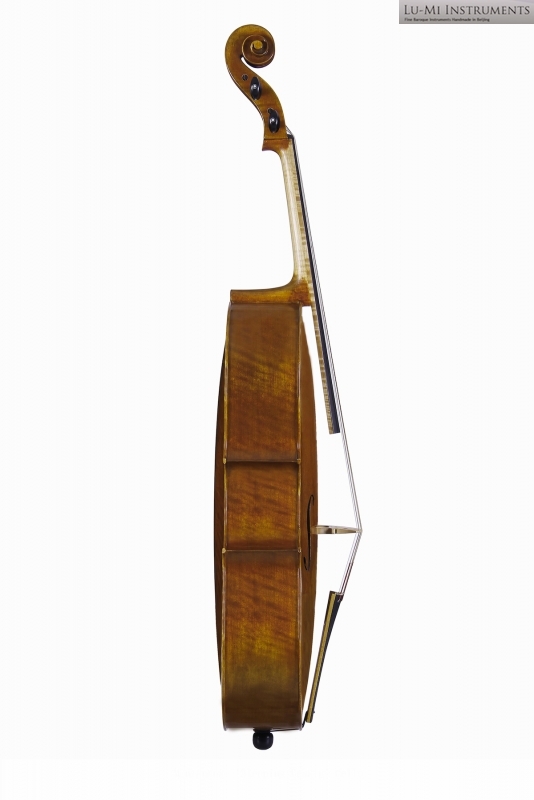 It is ideal to give sweet tone for the top e-string, but the width of the corpus is wide enough to give a proper bass register too. This model could be used as a bass violin tuned in C or Bb. 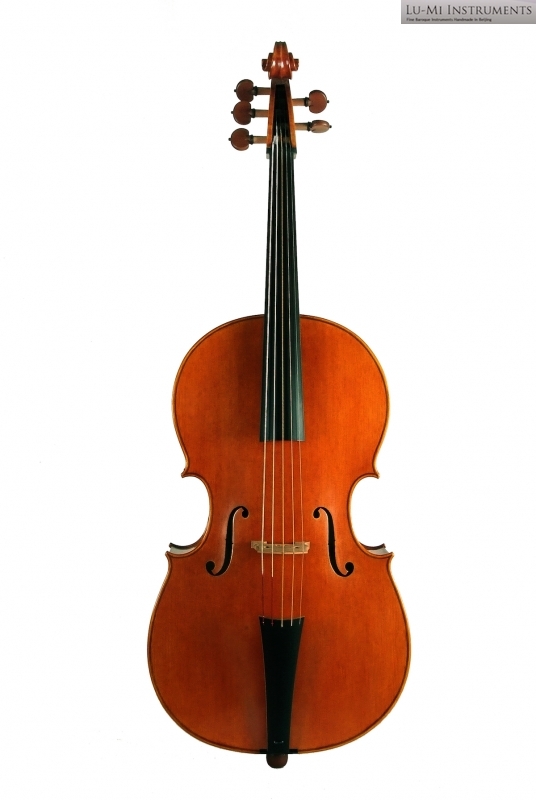 All gut strings are playing reasonable well and for sure plain gut G is easy to play with such a large instrument.